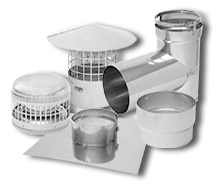 Flexible Stainless Steel Chimney Liners intended for field-installation into new or existing tile lined or unlined masonry chimneys used for venting natural draft Category I gas-fired, Type L oil-fired and solid-fuel residential-type appliances in which maximum continuous flue gas temperatures do not exceed 1000°F. 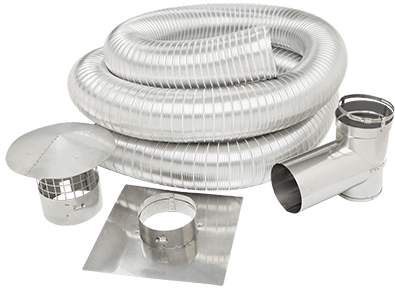 Chimney liners are intended to be installed in accordance to the “Standard for Chimneys, Fireplaces, Vents, and Solid Fuel Burning Appliances,” NFPA 211; “National Fuel Gas Code,” NFPA 54. 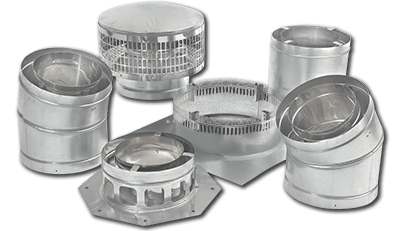 Flexible Stainless Steel Chimney Liners are tested and listed to UL 1777 and ULC –S635/S636 for approved new or existing masonry lined or unlined chimney applications. Flexible Stainless Steel Liners are manufactured with 316L stainless steel to ensure maximum flexibility, corrosion resistance and safety. For use with wood, pellet, coal, oil and gas-fired appliances.